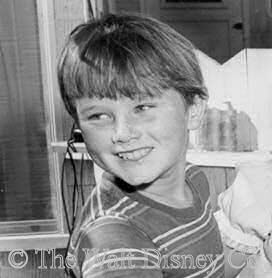 Member of a large family of child actors, Kevin Corcoran was tapped at age seven to appear in Mickey Mouse Club serials. 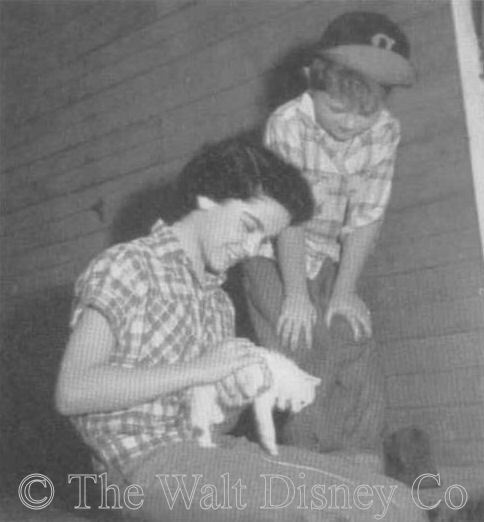 He did four of them, plus a guest spot on the Mouseketeer segment, before going on to be one of the trio of young stars who took Disney live-action films into the sixties. Born in Santa Monica, California, Kevin Anthony Corcoran was one of eight children (five boys and three girls). His parents and three older siblings came to California from Quincy, Massachusetts around 1945. Kevin's father Bill was a studio policeman at the MGM lot in Culver City, but that appears to be the family's only show business connection. The Corcoran brothers and sisters were (in age order) Bill Jr, Donna, Noreen, Hugh, Kevin, Brian, Kerry, and Kelly. The younger seven would all act in films and/or television as children during the fifties and early sixties. The Corcorans were unique among large American show business families in that all members were siblings, instead of being multi-generational, and that they performed as individuals, rather than as a family act. Unlike the earlier Foys and later Osmonds, the Corcorans were actors, not musical variety performers. The two older daughters were quite attractive, which opened the doors to show business for the rest. Kevin and the younger kids, who resembled each other, were "wholesome" looking. Kevin's first professional work, albeit uncredited, was the The Glen Miller Story (1953), followed by Untamed (1955). Rarely was more than one Corcoran employed on a project. One of those instances was Violent Saturday (1955), in which Kevin appeared with his sisters Donna and Noreen. Kevin's last work before going to Disney was for the film The Birds and the Bees (1956), and an episode of Ford Television Theatre. 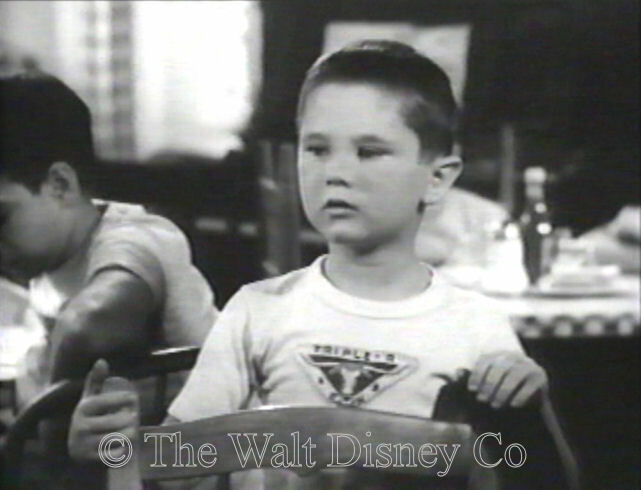 In the spring of 1956 Kevin auditioned and was hired for a short serial role on The Mickey Mouse Club. Kevin was first hired to appear in a five-part Anything Can Happen Day serial called Fun with a Camera. 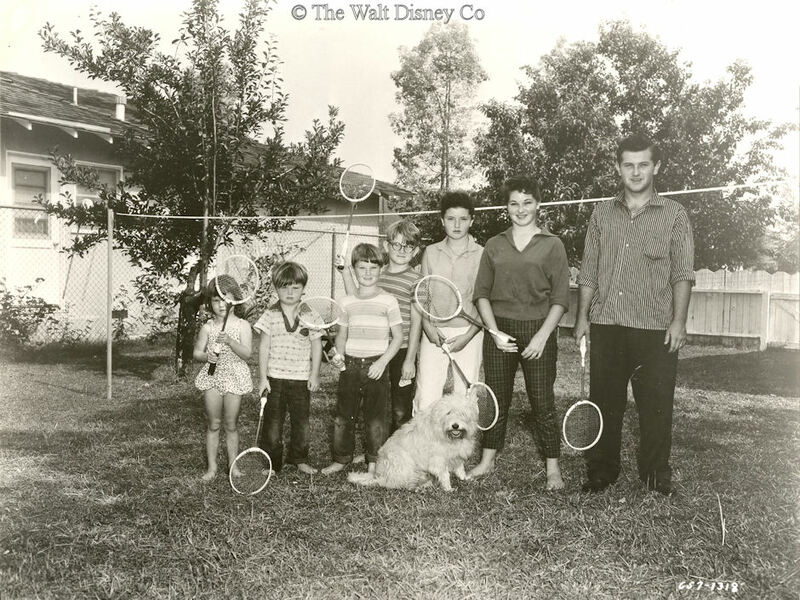 Its director William Beaudine immediately recognized Kevin's natural talent, and urged Walt Disney to cast him in another project. Adventure in Dairyland was hurridly written to replace another cancelled serial. It was to be filmed on location outside Madison, Wisconsin, in June 1956, using actors from Hollywood. Annette Funicello would be the star, with Sammy Ogg as comic relief. The McCandless family, whose farm they were supposed to be visiting, would also be played by actors, including the youngest family member, Montgomery McCandless, nicknamed "Moochie". It was the latter character Kevin was assigned to play, and the character's nickname became his own. Kevin and director Bill Beaudine took to each other right away. Beaudine was a deft hand at directing kids; he knew they recharged thru play and movement, rather than by resting. Whenever Kevin's performance started to flag, Beaudine would have him run laps or toss a ball around. In a short while, Kevin could get back in front of the camera all refreshed. 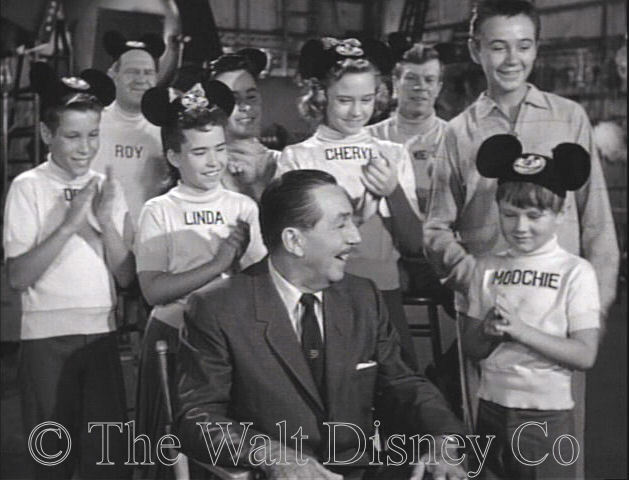 Walt Disney was impressed with Kevin's performance in the rushes, and ordered him to be written into the Further Adventures of Spin and Marty, which started filming in mid July 1956. This serial finished filming in September 1956, at which time Kevin was assigned to do voice-over work for the Danish-made serial Boys of the Western Sea. 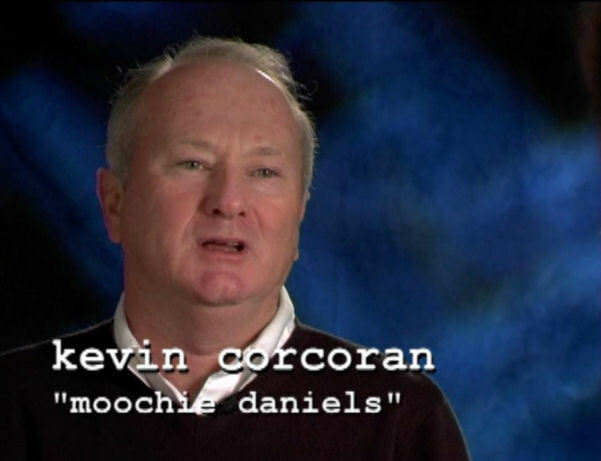 Initially popular with many adult and younger viewers, the "Moochie" character was less enthusiastically received as Kevin grew older. The distinctive "little boy" voice, deliberate forays into mischief, and subsequent guilt-laden mea culpa quickly became trademarks. Kevin found himself locked into the "Moochie" part, even when the character's name was different. For this, the producers, writers, and directors of his various projects must share the blame. Kevin himself gave the performance that was demanded of him. 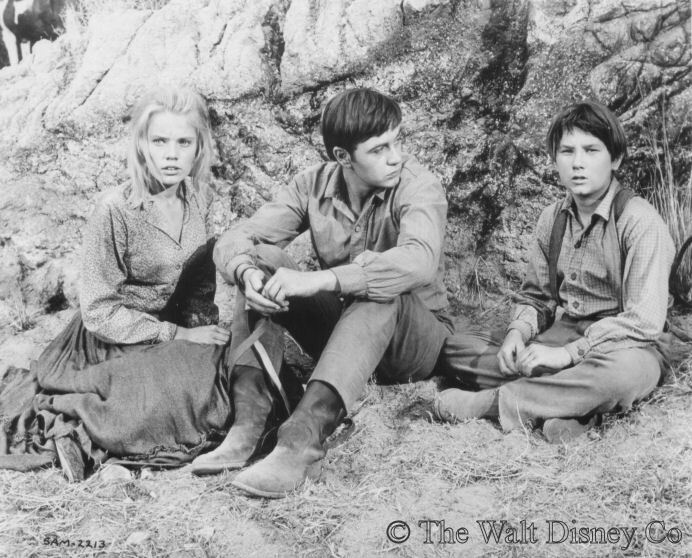 One of Kevin's few opportunities to stretch his emotional range as a child actor (albeit, still within the Moochie persona), came with the Disney film Old Yeller (1957), the first of five movies in which Kevin would portray Tommy Kirk's younger brother. Kevin would again reprise his "Moochie" role for The New Adventures of Spin and Marty in the summer of 1957. This time around, Kevin shared top billing with the older boys and girls, but what had started out as a strong ensemble-based series finished as a weak multi-star vehicle (much as did the entire Mickey Mouse Club show). Kevin appeared as a guest star for the MMC's third season, in which he was given a tap dance lesson by Lonnie Burr. 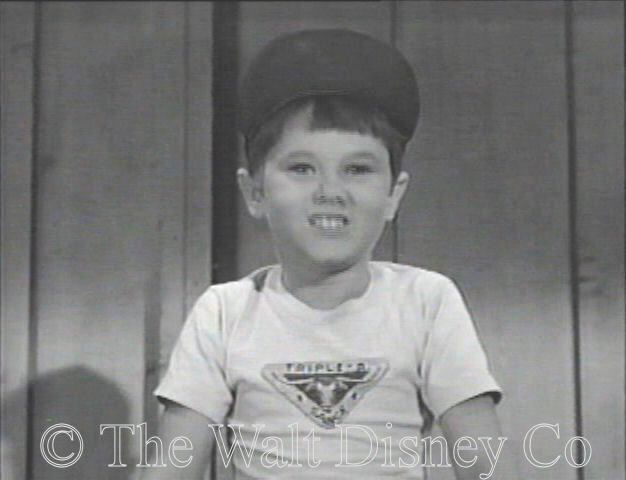 He also had a speaking part in the Disneyland Fourth Anniversary Show, the only time he appeared in Mouseketeer togs. (Just for the record, no, Kevin was not a Mouseketeer). Naturally, his shirt read "Moochie", not "Kevin". The character had overwhelmed the actor. Following the demise of the Mickey Mouse Club, Kevin entered his busiest professional period as an actor. In 1959 he did an episode of Wagon Train, then appeared with Tommy Kirk and Annette in The Shaggy Dog (1959). 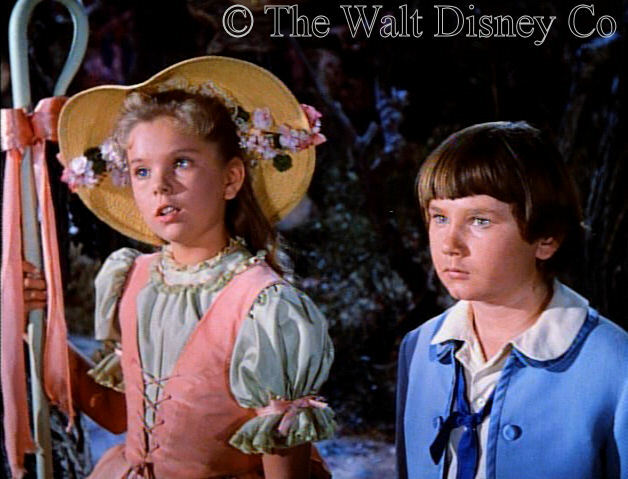 These three kids were the mainstay of Disney live-action films from the late fifties through the mid-sixties. Kevin's specialty was doing multi-part serials for Walt Disney Presents. His first was called Moochie of the Little League (1959). This sports comedy piece was filmed again the following year, with different uniforms, as Moochie of the Pop Warner League (1960), both being helmed by William Beaudine. 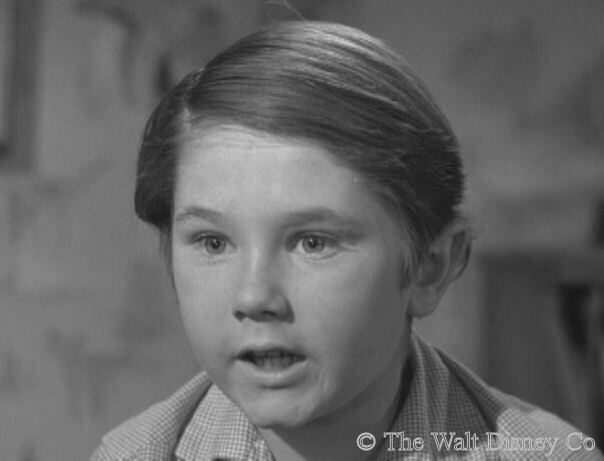 Kevin next appeared in Daniel Boone (1960-61), The Mooncussers (1962), and Johnny Shiloh (1963). During this time he also did theatrical films, including the starring role in Toby Tyler (1960), a feature part in Pollyanna (1960), and another Tommy Kirk "little brother" role in Swiss Family Robinson (1960). He next did a small but non-Moochie part for Babes in Toyland (1961) with Annette and his real brother Brian Corcoran, then Bon Voyage (1962) and Savage Sam (1963), two more of the "Tommy Kirk's little brother" pictures. By 1964, Kevin was fifteen, his voice had changed, and he was at last allowed out of the Moochie straitjacket for A Tiger Walks. Kevin's final film role as an actor was a small part in Blue (1968). Thereafter, he went to college, graduated in theatre arts, and eventually became a director and producer for films and television (Scarecrow and Mrs. King, Murder, She Wrote, Quantum Leap), usually, but not always, working for Disney affiliates. He was married to his wife Laura for forty-five years, and around 2005-7 appeared in several documentaries and DVD special features, talking about his early career. Kevin passed away on October 6, 2015 in Burbank, California from cancer.